Have you ever written a secret love letter to your crush when you were younger? A love letter telling him how much you like him and all the things that make him the most special boy in the world, yet also feeling secure in the fact that he will never, EVER, get to read it? 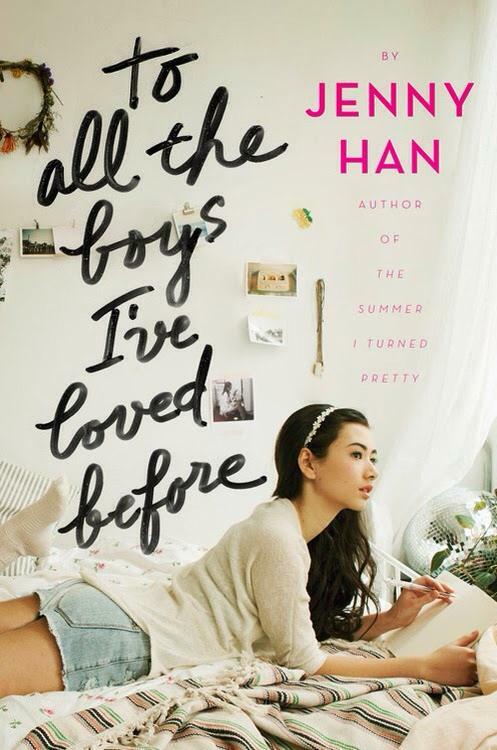 Sixteen-year-old Lara Jean has a secret hatbox filled with such letters to all the boys she’s ever liked or loved. Only difference is that one day her letters mysteriously get sent to all these boys, and now, one by one, they’re coming in all directions to talk to her about them. In a last ditch effort to save face, she enlists the help of Peter Kavinsky, first recipient of her love letter, also the most popular and good-looking guy in school, to play along being her boyfriend to convince her older sister Margot’s ex-boyfriend Josh Sanderson, second recipient of her love letter, that it was just a silly crush and nothing more. Lara Jean thinks she’s got it down pat. After all, their plan is working perfectly and getting the desired reaction from all parties involved. But in spite of herself, why is she feeling all these feelings for Peter? And why does she wish that he is not just a pretend boyfriend? This book is crazy cute! It’s fun, it’s young, it’s sweet and it’s sentimental. Finished it one day, that’s how curious I was to know how the whole thing will pan out. Peter and Lara Jean are adorable. Peter is just the kind of guy you will totally crush on in high school. Lara Jean’s sisters are such characters they should star in their own books. If I could be part of a fictitious book family, I want to be part of the Song family. I found myself giggling and smiling and having all the good and happy feels. The ending left me hanging so baaaad, so please, let the second book come real soon.